I wasn’t sure what to name this Caramel Sauce. 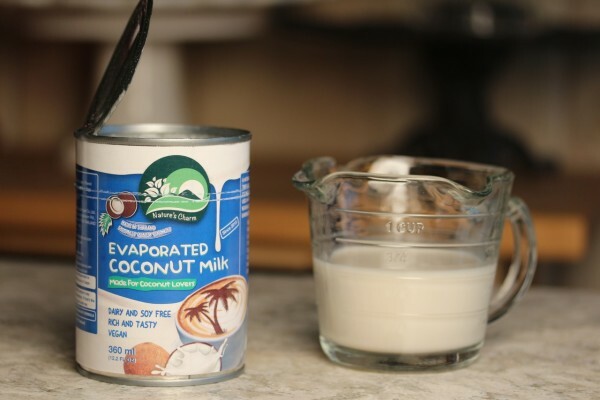 It is made with Nature’s Charm Evaporated Coconut Milk, so I figured I had to put the word “coconut” in the title. But the thing is that the result is not overwhelmingly coconut-y. 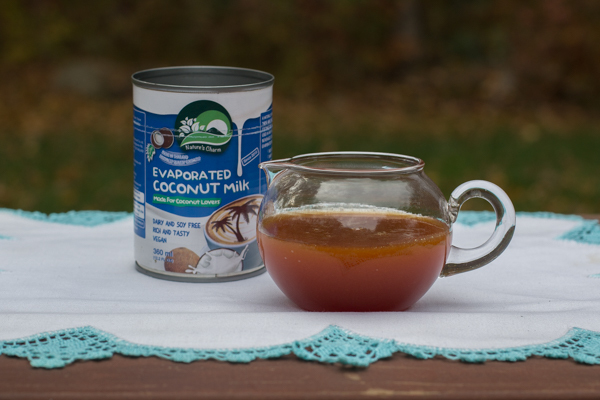 This tastes like a classic caramel sauce just kissed with coconut flavor. Couldn’t be easier to prepare and it is dairy free! Serve over ice cream (dairy free or otherwise), pound cake or do what I did and dip juicy strawberries in it for a ridiculously easy dessert. 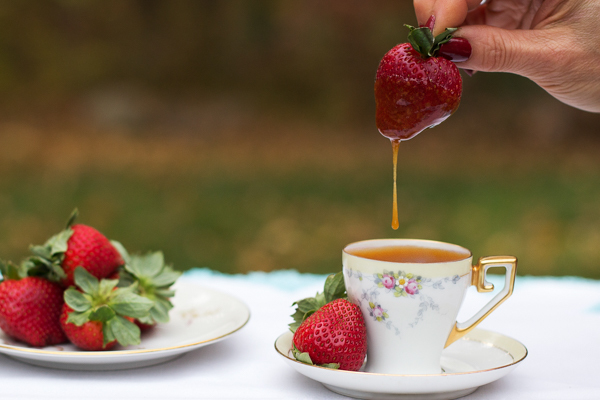 Serve the sauce in little demitasse cups as pictured for a pretty and unusual presentation. I mix and match the cups…gets a conversation going, as will the contents of this sauce. Make a double batch and give for host/hostess gifts. Lasts a long time in the fridge. Stir sugar and water together in deep saucepan. Place on medium heat, bring to a boil and cook without stirring, until mixture turns a rich amber color. Add milk; mixture will bubble up furiously so take care. Whisk until smooth. If any lumps appear, simply continue to heat over low-medium heat for a few more minutes. Caramel sauce is ready to use. Cool and refrigerate in airtight container for up to 1 month. Reheat before using on top of stove or in microwave. Use over ice cream, cake or as a dip for fruit.